There’s probably a lot of things in your day-to-day life you give more consideration to than the types of toothpaste you use. However, it’s a matter well worth some consideration! After all, if you aren’t using the best toothpaste for your needs, you’re far less likely to achieve the dental goals you want. Here’s your basic guide to toothpaste types from Vitality to help you find the best possible match for your smile. Before we look at the different toothpaste types open to you [you may want to learn more about toothbrush types too], let’s take a moment and consider the specific ingredients and their purpose in your toothpaste. Different types of toothpaste will, of course, use different ingredients combinations and special ingredients, but there’s a few common active and inactive ingredients you should get to know. An inactive ingredient is one that doesn’t play a role in protecting your teeth, but rather contributes to texture and taste. Widely considered the best toothpaste ingredient on the market, fluoride can be thought of as nature’s cavity fighter. It helps toughen up the enamel on your teeth, giving them increased wear-and-tear protection and warding off cavities. You will find a few toothpastes that don’t use fluoride, however, as some people wish to avoid it. We would always recommend a prior discussion with your dentist before selecting a non-fluoride toothpaste. These inactive ingredients still play a very active role in your toothpaste. While they don’t fight off cavities or gum disease, your toothpaste would be near useless without them. These are the ingredients that help actively cleanse the tooth surface and scrub away stains. Too much of a good thing can hurt, of course, which is why today’s abrasives are very, very mild- enough to get the job done without scratching or damaging enamel. Calcium carbonate, silica gels and hydrated aluminium oxide typically fit in here- a vast improvement on ancient methods like shells and sand! Another key inactive ingredient, these are the parts of your toothpaste that make it palatable to your taste buds! After all, no matter how great your toothpaste, if you gag every time you use it you won’t keep up with brushing, will you? There’s a tricky balance to achieve here, which different types of toothpaste try to balance in different ways. Of course, you want a palatable, attractive taste [and aftertaste] for the user, but you also don’t want to actively create an environment in the mouth which is conducive to decay such as with sugar. Typically sweetening agents such as sorbitol and saccharin are used, which do not promote decay. If you opt for a more natural toothpaste type, be hyper-vigilant in the use of sweeteners and ensure they enhance, rather than negate, dental benefits. Humectants refer to substances which attract water to themselves. 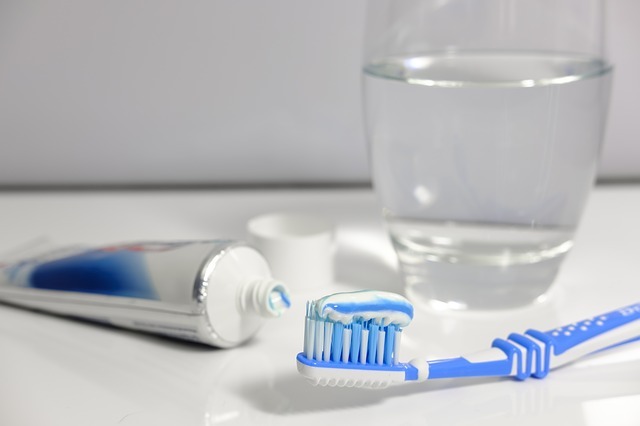 They are added to your toothpaste to help ensure that your tube remains moist and consistent throughout its use, rather than drying out and not holding enough water to make it useable. Glycol, glycerine and glycerol play this role, as does sorbitol. Detergents, of course, provide the foaming action we all know and love. While not strictly necessary by purpose, this foaming action does help drive some food particles away from the teeth as well as provide us with that squeaky-clean feel we crave. You’ll typically see sodium lauryl sulphate take this role. Now you have a better idea of what to expect from the best toothpastes, as well as how to evaluate the ingredient list the next time you go shopping, let’s take a closer look at the types of toothpaste open to you as well as the purposes they match. These are generally held to be the gold standard in toothpastes for people who just want a great toothpaste and don’t have specific concerns to cater too. These will always contain fluoride, to strengthen the teeth and prevent cavities. For adult toothpastes, this is typically at a strength of 1450 ppm, whereas those aimed at children usually drop this concentration to 1050 ppm. Kiddie toothpastes will be formulated in flavours and colours to appeal to them, and often have cartoons or other kid-friendly packaging, whereas adult versions come in a dizzying array of types, flavours and approaches, but they all share the same purpose at heart- keeping your mouth healthy and free from bacteria and cavities. Again we advise that you discuss with your dentist the best level of fluoride for you and your family. Natural toothpastes are a rising niche type of toothpaste that caters to those who worry about the heavy use of chemicals in our daily body products. While some will contain fluoride, others avoid it out of concern for parent’s worries over white spots on the teeth and over fluoridation of water. They will typically use more natural ingredients such as salt, mint, fennel and lemon, and may attempt to boost the mineral content of saliva as a mechanism to help ward off cavities. Some natural toothpastes come as powders you wet yourself to use, which means they don’t need humectants or enhanced preservatives in the tube. No matter how natural the brand, be sure to pick one with stable, tested ingredients that are properly preserved for your family’s safety. If you are avoiding daily fluoride doses, it is essential to speak to your child’s dentist for regular and controlled in-office fluoride treatments. This is the best toothpaste for those who have concerns about the development of tartar- the calcified hard mass around your teeth. They also help prevent stains above the gum line. It’s important to note that, while these toothpastes prevent tartar from building up, they don’t remove existing tartar- you will need help with that from your dentist. They also focus on disrupting the plaque ‘film’ to prevent tartar from hardening in the first place. The ‘holy grail’ for many of us is clean, white and shiny teeth. While professional teeth whitening is the only truly effective way to brighten a dingy smile, whitening toothpastes can help keep that smile bright in-between visits, especially if you smoke, drink tea or love your red wines. The focus of this type of toothpaste is cleaning stains from your teeth alongside ensuring they don’t reoccur. Consult with your dentist to ensure you use a quality brand, and not one which will damage and wear away your enamel over time. These toothpastes use a combination of ingredients to ensure those with thin, damaged enamel or sensitized roots experience less discomfort with hot and cold food items. Traditionally they work by numbing the pain response, but more modern blends also ‘fill in’ the damaged to the teeth and help them re-mineralize from the inside out. This specific type of toothpaste is designed to properly care for the unique needs of implants, veneers and dentures rather than ‘real’ tooth enamel. It helps prevent discolouration, scratching and damage, as well as effectively removing bacteria from the surface, keeping them hygienic and helping them last a long time. There’s a type of toothpaste for any need, so if you’re having difficulty deciding on the best toothpaste for your specific mouth and brushing routine, be sure to chat with your dental practice or the friendly team here at Vitality to help you make the smart choice.